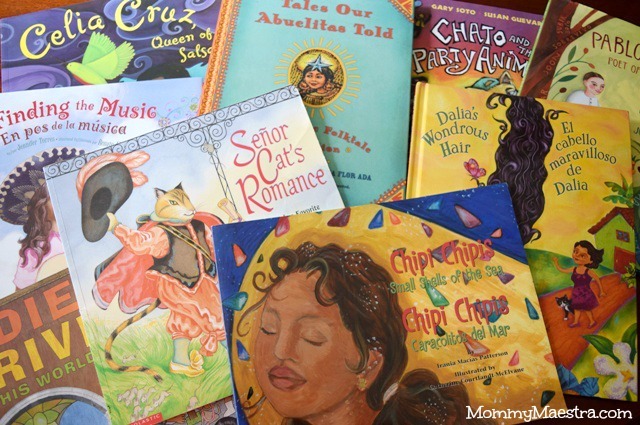 Mommy Maestra: The Latino Children's Summer Reading Program Is Open! The Latino Children's Summer Reading Program Is Open! Dear Familia, thank you so much for staying with me this past month as I practically abandoned this blog while I concentrated my full attention on the L4LL Latino Children's Summer Reading Program. It is with the greatest relief that I announce that our new and improved program is officially open! Check out our new English and Spanish websites. If you haven't registered yet, please do so. Your kids can win great prizes this summer such as Chromebooks, Google Play gift cards, school supplies, and books from publisher Lee & Low to help your family start a home library. First is our basic Summer Reading Program for kids 0 - 18 years old. Yes, we absolutely know that most kids under 4 can't read very well on their own. But parents with children under 4 (yes, even newborns!) can register and pledge to read to their children over the summer (and we hope, year round). This program includes access to our 2015 Summer Reading Lists featuring Latino children's literature titles, printable and online reading logs, and many other printable materials. I'm most excited about our Summer Reading CAMP for kids 6 - 12 years old. I've agonized over this curriculum for the past two years and this year, it includes contributions from some of my favorite Latino children's authors and illustrators. Alma Flor Ada, F. Isabel Campoy, René Colato Laínez, and Lulu Delacre have be wonderful supporters of Latinas for Latino Lit and our programs for Latino children's literacy from the very beginning. I'm looking forward to working with additional authors and illustrators in the years to come. The CAMP has lots of fantastic reading passages, poems, and other activities to boost your child's literacy skills during this critical time in their academic life. We have crafts, drawing activities, storytelling projects, and so much more. I really hope that all of you will take advantage of the program this summer and use it to build your children's literacy skills. I must end this post with a sincere, heartfelt thank you to Google for believing in our program. From the very beginning two years ago, they've provided endless support to make the Latino Children's Summer Reading Program possible. Have questions? Join us today 6/1/2015 at 12p EST Watch our quick hangout on our YouTube channel for our live program overview and new features, including this year's digitized, mobile-friendly program. Click on our Facebook or our Google+ pages to navigate to our hangout. So what are you waiting for? Go and register today!